A mother tells her compelling story about a family living with fetal alcohol spectrum disorders (FASD). 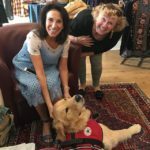 Every family has unique experiences, challenges and successes. The intent is not to endorse specific interventions, but to share one family’s story and hope.”The Story of Iyal” received a 2009 MarCom Platinum Award, sponsored by the Association of Marketing and Communication Professionals. MarCom Awards is an international awards competition recognizing creative excellence in marketing and communication programs and materials. The Platinum Award is given to the most outstanding entries in the competition in the areas of quality, creativity, and resourcefulness. The award is in the video/film/government category. A special thank you to CDC Streaming Health Created: 8/24/2009 by National Center on Birth Defects and Developmental Disabilities (NCBDDD). Date Released: 8/24/2009. Series Name: CDC Featured Podcasts. 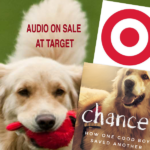 This is not your usual boy-meets dog,boy-loves-dog, dog-helps-boy story. But then Morasha Winokur is not your usual eleven-year-old sister. “My Invisible World” cleverly exposes a hidden, completely preventable, public health crisis that impacts each of us. 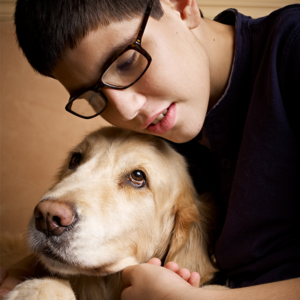 She shares what it is like to have a brother, Iyal, with Fetal Alcohol Syndrome Disorder, who is helped by his service dog Chancer. Up to 1 out of 100 live births are affected by prenatal alcohol exposure and it is the leading known preventable cause of intellectual disability. 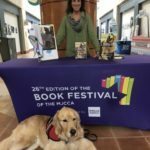 n this follow-up to their 2009 interview, Jodee and Donnie talk about the newest title in the Chancer Chronicles series: Nuzzle: Love Between a Boy and His Service Dog. Donnie talks about creating Chancer’s voice for the story, and Jodee shares her experiences as an illustrator. 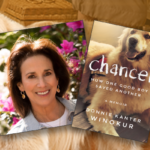 Donnie Kanter Winokur’s interview about her daughter’s book My Invisible World, telling the story of her son Iyal and his service dog Chancer, from the 2010 BookExpo in New York for the Mom’s Choice Award.